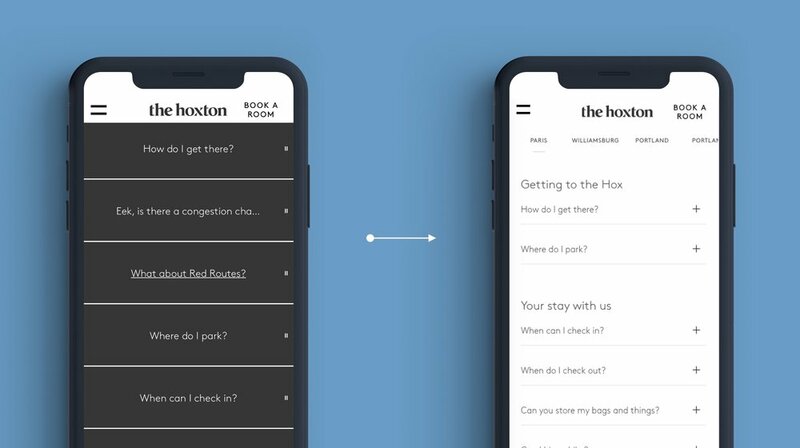 Luxury boutique hotel chain The Hoxton wanted to refresh the FAQ section of their website. 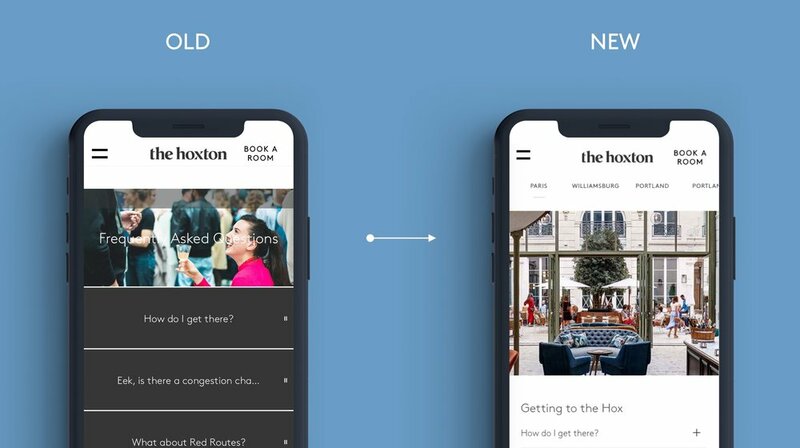 It was felt the current page suffered from several problems relating to navigation, legibility and poor usability in general particularly on mobile devices leading to customer frustration. 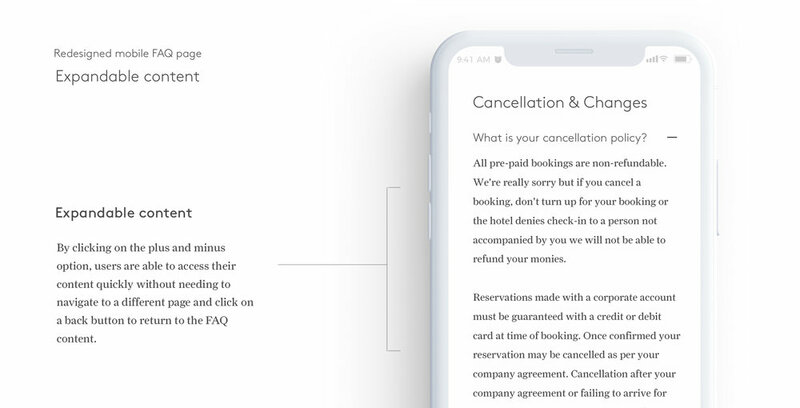 As the UI / UX designer my role was to suggest improvement to the user journey of the FAQ section by first identifying the potential pain points and then recommending suitable solutions through UI changes. The recommendations were presented to the client through high fidelity screens. 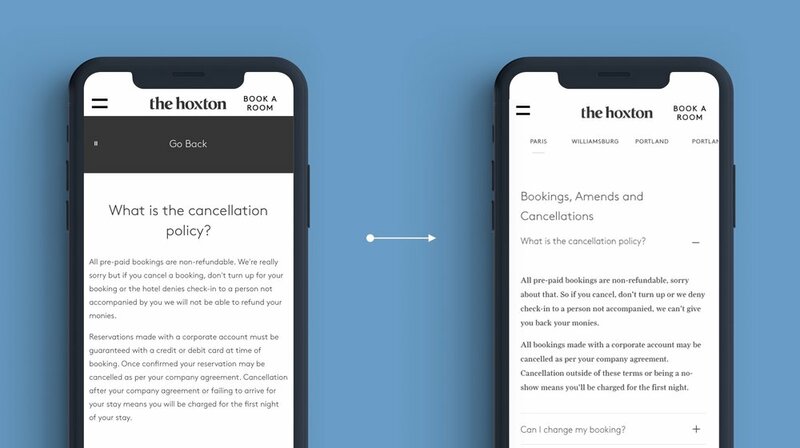 The Research stage involved analysing the current FAQ page on both mobile and desktop devices to identify the current issues with accessibility. Below are some potential pain points I discovered. Taking the pain points as a starting point I began to convert them into actionable goals for solutions to improve the product.